Husband : K. Abdul Razzak; 2 Sons, 2 Daughters. Deputy Speaker 1st KLA from 06-05-1957 to 31-07-1959. 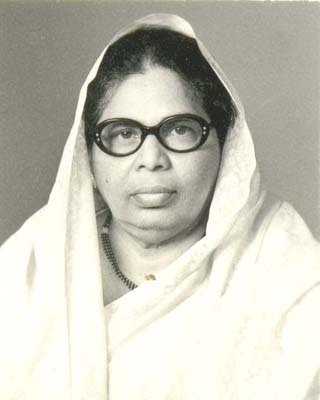 Chairman, Committee on Government Assurances (1961-63); State Vice President, Kerala Mahila Sangham (CPI); Member, Central Social Welfare Board, State Social Welfare Board, State Watch-Dog Committee on Prisons. Expired on 28-10-2005. Obituary made on 20-02-2006.